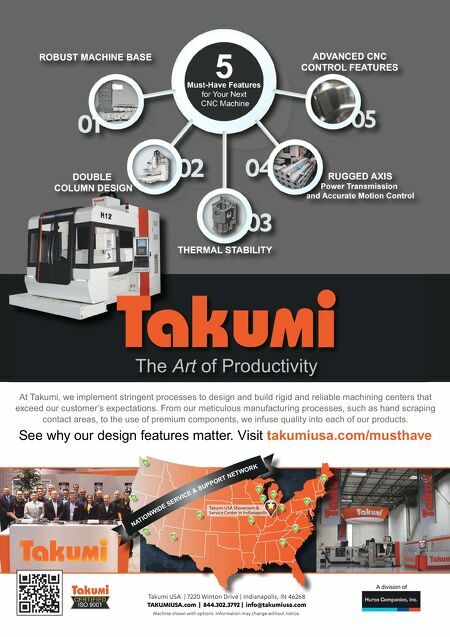 At Takumi, we implement stringent processes to design and build rigid and reliable machining centers that exceed our customer's expectations. From our meticulous manufacturing processes, such as hand scraping contact areas, to the use of premium components, we infuse quality into each of our products. 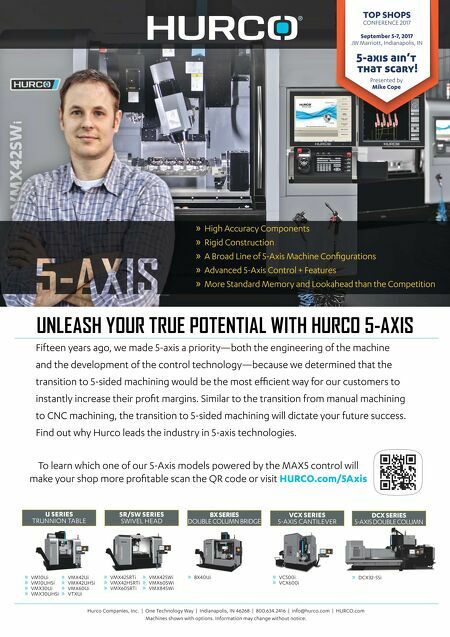 See why our design features matter. Visit takumiusa.com/musthave N A T I O N W I D E S E R V I C E & S U P P O R T N E T W O R K Takumi USA Showroom & Service Center in Indianapolis Takumi USA | 7220 Winton Drive | Indianapolis, IN 46268 TAKUMIUSA.com | 844.302.3792 | info@takumiusa.com Machine shown with options. Information may change without notice. .